Smart Homes of Tomorrow – Connect all the things! 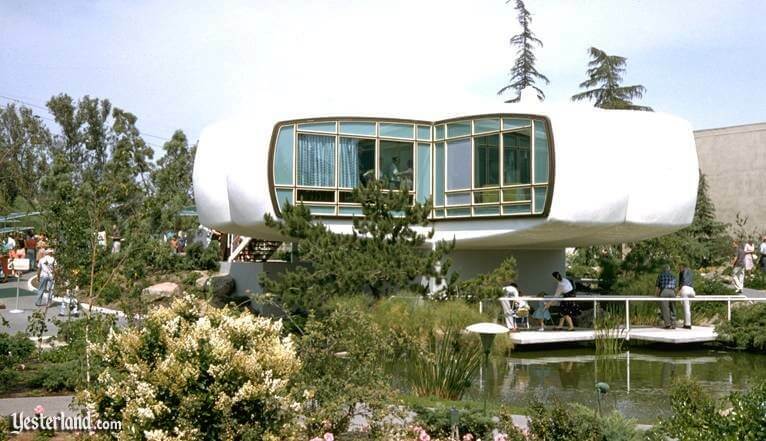 In 1957 the Monsanto House of the Future was constructed at Disneyland in Anaheim, California. This house was constructed by Monsanto, Massachusetts Institute of Technology and Walt Disney Imagineers to provide visitors with a tour and an idea of what future homes might look like in 1986. Design concepts in the Monsanto House of the Future included Ultrasonic dishwashers, a central panel for a zone-controlled climate system, bathroom vanities with a push button headset, closed circuit television receivers for security and built-in stereo systems. Simply put, the smart home of the past was the idea of mechanically automating everything with a push of a button. Today we see similar design concepts incorporated into current smart homes with one key addition, the internet. The idea of automating everything with a push of a button is still at the core of smart home design but with the addition of being able to control and monitor your environment from anywhere in the world. The overall goal though is still the same: Making the most out of a living environment through convenience and efficiency with innovative technology. Along with this innovation and evolution in smart homes design came new products and services. In today’s smart home we can see a number of concepts and products from Monsanto’s House of the Future incorporated in today designs. In 1957 the Monsanto House displayed a push button ultrasonic dishwasher that was recessed in the kitchen counter and doubled as a storage unit for the dishes. Today’s smart home features Wi-Fi connected dishwashers with mobile apps that allow a user to monitor cycle times and status as well as keep track of how many dishwasher pods are left. Monsanto’s House also featured a central panel for a zone-controlled climate system in the house. Today’s smart home features Wi-Fi connected thermostats that automatically adapt to your needs and when the seasons change. These connected thermostats are designed to improve home efficiency and save energy, for example, by adjusting the temperature automatically when you leave the house. They also provide users with dashboards that allow them to understand how they use energy and provide users with the ability to control their home’s temperature remotely. 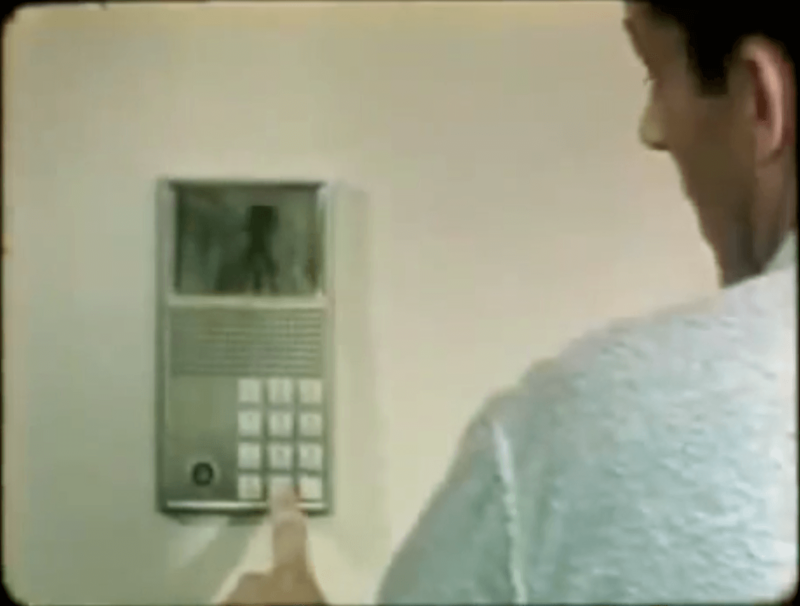 Another feature included in the Monsanto House of the Future was a bathroom with a push button, hands-free phones for the vanity, and closed circuit television receivers for security purposes. In today’s smart home we see a number of design concepts with these features including vanity mirrors for bathrooms that include Wi-Fi and Bluetooth, and the ability to control light settings via a smartphone app or digital assistants like Alexa. Some even have the ability to stream YouTube and Spotify. Home security today has gone far beyond just closed circuit television like the concepts displayed in the Monsanto House of the Future. Today’s modern home security system typically includes a centralized control system that can monitor and control a number of different connected devices including Wi-Fi and Bluetooth locks, lighting, wireless cameras, and thermostats. Smart home devices cover nearly every aspect of modern living including kitchen and home appliances, energy and water management as well as a number of different types of environmental sensors. Energy and water management systems include connected items in their systems such as lights, switches and plugs, thermostats, and motorized blinds as well as other systems designed to allow the occupant to sense, track, modify and automate their home environment for efficiency and financial benefit. Environmental home sensors can include devices designed to detect motion, gestures and sounds as well as water leaks, temperature changes, smoke and carbon monoxide. These connected sensors report data back to a central hub which then will notify the user via an in-house panel or a mobile application. Other connected devices included remote-controlled appliances typically found in the kitchen, home robots, and digital assistance including sleep and fitness trackers. One of the first things we can do is understand how these devices operate and the risks that they present. Smart home devices mentioned above typically connect to the internet through a few different protocols. The four most common protocols used in today’s smart home devices include Z-Wave, ZigBee, Wi-Fi and Bluetooth. Zigbee & Z-Wave – Zigbee and Z-Wave are both low-powered wireless networks with the ability to form a mesh network, making them a great option for smart homes sensors. These sensors are normally low-cost, low-bandwidth, battery-operated devices that send data to the occupant via an internet-connected central hub. These networks work great within smart homes but do have a few slight differences when it comes to speed, range and energy consumption. Zigbee has the ability to host tens of thousands of devices, but the range per devices is about 30-60 feet. The protocol is found in devices such as Philips Hue, Amazon Echo Plus and Belkin WeMo products. Z-Wave has the ability to host only a few hundred devices per network but has a greater range than Zigbee at 100-150 feet. This protocol is found in devices such as Kwikset Smart Locks, Wink 2 Hub and even the Dome smart mouse, rat and rodent traps (yes, that’s a thing). Both protocols are supported in devices like Samsung SmartThings, Honeywell Thermostats, Yale smart locks, GE appliances and ADT security hub. Wi-Fi – Wi-Fi is one of the most widely known protocols and utilized to support data-intensive devices in smart homes. Wi-Fi provides a fast option in smart homes to replace the need for high speed cables. Typically, Wi-Fi is used to support laptops, tablets and phones, but in recent years it has been rapidly adopted by IoT vendors for specific products in home automation, security systems and energy management. Wi-Fi doesn’t necessarily fit the needs of all IoT devices. If a device requires batteries to last months and is not bandwidth-intensive, protocols like Zigbee and Z-wave may be used in its place. Bluetooth – Bluetooth is used for low energy and small solutions and has a higher data bandwidth rate than Zigbee and Z-Wave. Originally Bluetooth was intended for wireless headsets but has since expanded with the evolution of smart home design, industrial applications and smart stadiums. Today you can find Bluetooth technology used in a number of appliances such as keyboards, gaming consoles, toothbrushes, environmental sensors, smart locks and other portable equipment. In Levi’s® Stadium you can order food to your seat and navigate the stadium for a bathroom via Bluetooth. Smart homes are controlled in a number of different ways including cellular and networked devices. Hubs are control centers that act as bridges for connected devices that need to communicate with the user via the hub. Hubs are devices like Home Seer, Nexia, Samsung SmartThings, Apple Homekit and Cisco Smart + Connected Residential solution. These control devices forward the information from the sensors via the internet to occupants’ mobile devices or in-house panel. These hubs are often essential for remote access and control of your home from around the world. They allow you to turn lights and appliances on and off, unlock doors, watch security cameras, monitor energy usage, check temperature and read humidity sensors that can send you pictures of movements on your property to you, wherever you may be. Selecting a hub can be a difficult choice depending on what the intended use and demands are from the home occupants. When selecting a central controller, consider the technology and protocols you have incorporated in your smart home design, how those devices are supposed to communicate with a central hub, and what the desired functionalities are for your smart environment. But what does all of this mean? If architects, designers and owners are more aware and have a basic understanding about the devices and protocols they have incorporated into their smart home, they will be better prepared to analyze the risks that are presented in these environments and how to minimize the possible impact of an affected system or devices on their network. The idea of automating everything today is very much alive, but instead of pushing physical buttons to control mechanical devices we want to control our environments conveniently through central hubs and smartphone apps from anywhere in the world. So what is the risk of living a better, more efficient life through smart homes? A lot. Given the growth in the threat landscape by connecting everything to the internet, we are presented with three core issues: Privacy, vulnerability and reliability. Currently these three subjects plague almost every connected device currently on the market, but what can designers, builders and consumers do to secure and protect the home of tomorrow from these issues? What new design concepts are needed to address these emerging technologies and risks present by the ever-connected smart home? In my final blog of this series I will cover why there has been an increase in people choosing to incorporate smart, automated devices into their homes, the risks that these devices present, and what architects, designers and consumers can do to secure and protect these homes. 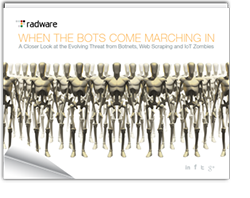 Download “When the Bots Come Marching In, a Closer Look at Evolving Threats from Botnets, Web Scraping & IoT Zombies” to learn more. Daniel Smith is an information security researcher for Radware’s Emergency Response Team. He focuses on security research and risk analysis for network and application based vulnerabilities. Daniel’s research focuses in on Denial-of-Service attacks and includes analysis of malware and botnets. As a white-hat hacker, his expertise in tools and techniques helps Radware develop signatures and mitigation attacks proactively for its customers.